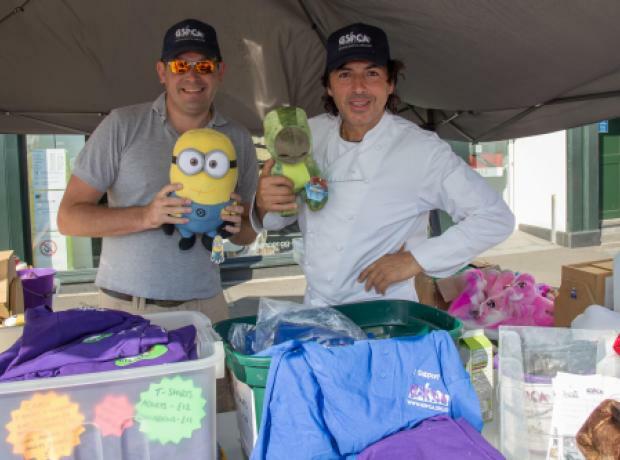 For the final time of 2016 the GSPCA joined the Taste of Guernsey Seafront Sunday on Sunday. It was their fourth and final Seafront Sunday of 2016 and once again we are hugely grateful to them for letting us join them for what was a great and very popular day, as they have all proved to be. Our stall was opposite Thomas de la Rue with all of our fun games, tombolas, pet supplies, donation buckets and GSPCA goods which help raise funds for the animals in our care. The last Taste of Guernsey Seafront Sunday is planned this weekend on the 14th August. Please support them and come and see our stall on what should be another great day. Once again we joined the Taste of Guernsey Seafront Sunday on Sunday. It was their third Seafront Sunday of 2016 and once again we are hugely grateful to them for letting us join them for what was a great and very popular day. Our stall at the Taste Seafront Sunday is likely we will near Thomas de la Rue with all of our fun games and tombolas which helps raise hundreds of pounds for the animals in our care. Steve Byrne GSPCA Manager said "The Taste Seafront Sundays are always great fun and we had a lovely day meeting lots of new friends and many regular supporters." Could you help man our stall for the Taste of Guernsey Seafront Sunday on Sunday 24th July. The stall in town we will be setting up from 8am for a 10am start and pack up around 5pm for their third Seafront Sunday of 2016. The GSPCA once again joined in what was a lovely Taste of Guernsey Seafront Sunday on the weekend. 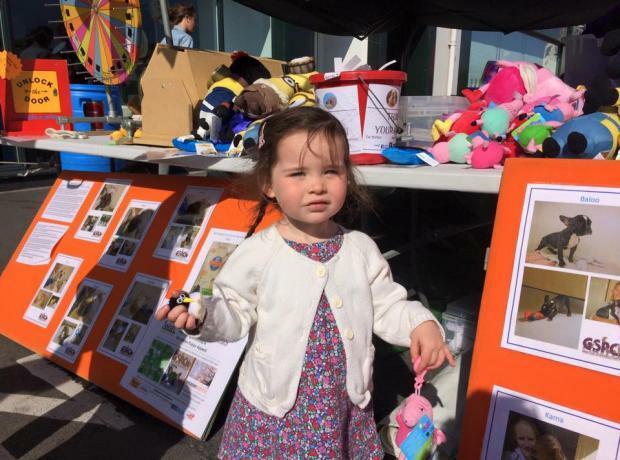 Our stall at the Taste Seafront Sunday was just outside Marks and Spencer with all of our fun games and tombolas which helped raise £614.49p for the animals in our care. Steve Byrne GSPCA Manager said "We had a lovely day at the Taste of Guernsey Seafront Sunday and it was amazing to meet and chat to many of the lovely visitors off the two cruise liners that were in the Little Russell." Could you help man our stall for the Taste of Guernsey Seafront Sunday on Sunday 26th June. On the 26th we have a stall planned for the Taste Seafront Sunday and also an Open Garden event at L'Etiennerie Farm and we are appealing for help for both so we can run both events. The stall in town we will be setting up from 8am for a 10am start and pack up around 5pm for their second Seafront Sunday of 2016. If you can help at the Open Garden we are looking for volunteers between 12pm and 5.30pm. A huge thank you to all that supported our stall Taste of Guernsey Seafront Sunday. This weekend was the first of the Seafront Sundays and saw over 4000 visitors off a cruise liner which made for a very busy day. Once again we set up just outside Marks and Spencer with all of our fun games, tombolas and a few goods on sale. We raised over £800 and our stall proved very busy throughout the day which saw quite some sunshine. If you're out and about why not pop by the Taste of Guernsey Seafront Sunday this weekend. We will be setting up from 8am for a 10am start and it is their first Seafront Sunday of 2016 and first of the year. It is likely we will be once again just outside Marks and Spencer with all of our fun games and tombolas. The GSPCA will hopefully have a stall at every Seafront Sunday this year and on Liberation Day and we are looking for volunteers to help us out on the days. This year the GSPCA attended every Seafront Sunday with a stall. To run the GSPCA and care for the 1000's of animals we help every year costs £2000 a day and we are always looking for ways to raise the much needed funds to care and rescue those in need. Last Sunday was the last of the 8 Seafront Sundays and we would like to thank the organisors of the other 7 for allowing us to bring a stall to raise the funds and talk to the community and visitors about our work, how they can help and the animals in need of homes.